Home » Cosmology » What are White Holes? The concept of a white hole only appears as part of the vacuum solution to Einstein’s field equations that are used to describe a Schwarzschild wormhole. A wormhole is a black hole on one end, drawing in matter, and a white hole on the other to emit matter. Schwarzschild wormholes are unstable. They collapse as soon as they form. Also, wormholes are only a solution to the Einstein field equations in a vacuum where no matter interacts with the hole. Real black holes are formed by the collapse of stars, but white holes shrink from matter so they could not exist in connection with true black holes because the presence of matter would cause them to collapse. 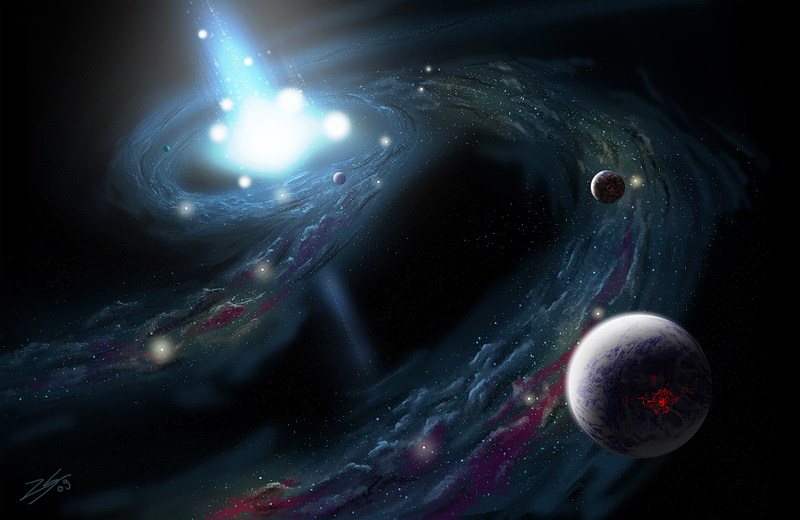 Some have even suggested that a white hole could possibly be the Big Bang itself. Many scientists feel that it may be impossible to ever see the existence of a white hole due to how unstable it would be. Still white holes are incredibly interesting to think about and the idea of a worm hole starts to make a little sense even though it seems unlikely anyone could survive jumping into a black hole and come out of a white hole. What are white holes? White holes are possibly one of the most interesting hypothetical objects in the universe. Isn’t there a white hole model out there already ? It is based on the standing wave model. Turn on the water faucet in your sink, the standing wave that forms in the flow on the flat bottom of the sink is a white hole event horizon. They also say the water running down the vortex of the drain creates black holes. They predict that while holes will shrink in the presence of matter. But will they stop shrinking when they get down to plank length? Of course nobody knows if space is really quantized at the plank length.